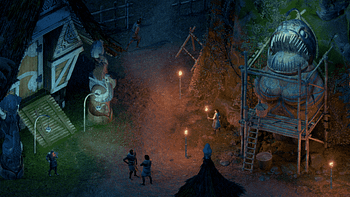 I was able to sit down with a few members of the Pillars of Eternity II: Deadfire team at E3 this year, to check in with how the game is doing now that the Fig fundraising campaign is over. 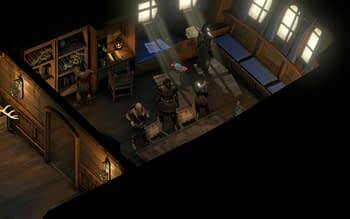 Fans of Pillars and of Obsidian Entertainment will be excited to know that the game will be in it’s alpha stage in the next two months or so, which means production is steadily moving onward. My meeting with game director Josh Sawyer and lead programmer Adam Brennecke did give some hints as to future updates we’ll get on the game. 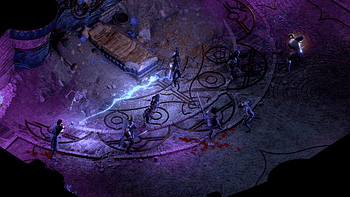 So far, the development team has been pretty quiet on the companions you’ll have in Pillars of Eternity II: Deadfire, while we do know that some companions from Pillars I will be joining the Watcher in Deadfire, there will be new faces. 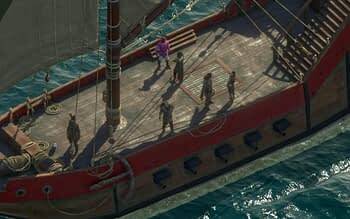 While Sawyer and Brennecke remained pretty evasive on the topic – it’s apparently something we’ll be hearing about soon – I do know that the companions and ship crew will require deeper interactions than were needed in the Stronghold, specifically Sawyer commented that”players said go deeper than in the stronghold and so we did” so I’m sure we’ll be having plenty of deep interactions with our ship crewmates. He also hinted that “you can recruit companions as you go,” which means we’ll have some flexibility in terms of just who we have following us. 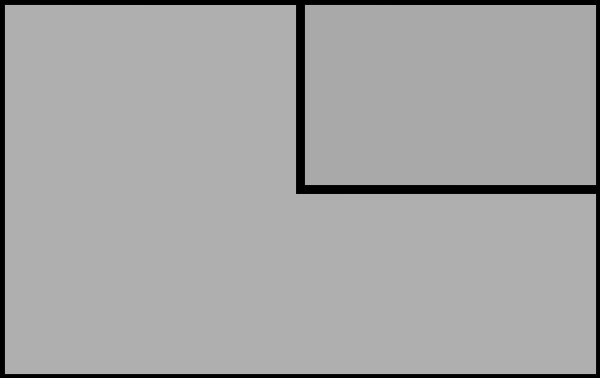 And while we will have ship combat, for the most part, that’s made of random encounters and strategic playing, so no real steering of the ship is involved, though you do have to navigate between islands. You won’t always be able to go in a straight line between islands on a chain, you’ll have to navigate through the shallows and around to landing points. If you don’t have a beach to land on, you can’t land your boat there. Pretty simple in theory, right? 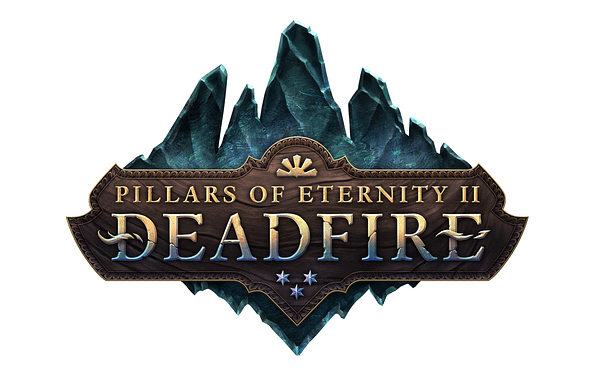 Most of the interview focused on the exploration aspects of Pillars II as well as the gameplay balance the team is working on. Sawyer’s favorite aspect of Pillars II was the size of the world, how open things are, and how customizable the game can be. Speedrunners will be happy to know that there are large parts of Pillars II that can be skipped. “When it comes down to it, we looked at the critical path and wanted to make sure we didn’t impede the player unless there was a good reason to, and generally there really isn’t,” Sawyer said. Meanwhile, as the game focuses on exploration, like the original Fallout games and the Elder Scrolls series, most of the exploration is left up to the player. You have a fog of war on your game map that only covers the areas you have yet to explore, but as you go by islands, a question mark will appear that’ll lead you to dungeons or treasure or quests, and it is up to you if you go chasing them down or keep focusing on the game’s main questline. And while you might get a slight bonus going for a multi-class build, that’ll wear off quickly and you progress much slower through the skills of both classes. “You’ll never be as good at a single thing as someone who single-classed that skill, but you do get access to both skill sets right from the start.” And while there are some limitations, you can’t be a Paladin for one god and a priest for another, that is mostly because the bonuses don’t match up. Other than specific cases, you are free to multi-class and sub-class to your hearts content. Even if that heart is a ghost one. And when it comes to Sawyer and Brennecke’s favorite multi-class and sub-class combinations, one of highlights was the corpse-eater barbarian, which is pretty much exactly what it sounds like. 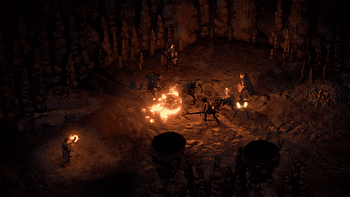 As a corpse-eater barbarian, you have less rage to start with, which is one of the key aspects of being a Barbarian, but then “once an enemy is killed, you just sort of get in there and start digging in,” which boosts that rage counter pretty well. “It’s not an Obsidian game without cannibals, slaves, and dead children,” Brennecke joked. One of the many interesting factoids I was able to gather during the interview dealt with the creation of unique weapons in both games. 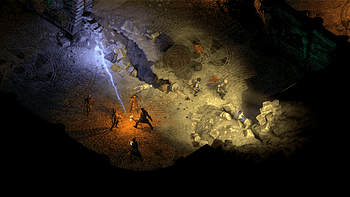 Unique weapons in Pillars of Eternity were created “in a top-down sort of way” that meant the team decided how many unique weapons of which types they needed, added skills, and worked the fluff around them. 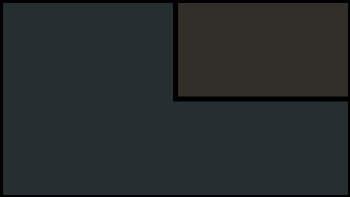 With Pillars II, players will find that unique items come with more of a concept, that the skills and abilities were added after. Which is why there’s a unique quarterstaff that is essentially a broom. Because the dev team thought that would be awesome, and you know what, it is. I absolutely love those small moments of randomness that games this massive seem to have. It really shows just how into the game the developers are, and that always comes across on the finished product. And if there was one thing I walked away from this interview knowing, it was that this game is in the best hands possible, because the enthusiasm the development team have for the game, even after five years of development, is infectious. But that’s something you can tell just by reading the updates on their fig campaign blog. I Got Me A Moo-Cow! Visiting With Natsume At E3!